A healthy adult human harbours some 100 trillion microbes outnumbering our own cells by a factor of ten and expanding our own gene repertoire by at least two orders of magnitude. Our laboratory employs multiple complementary approaches coupling computation and experimentation to study the diversity of the human microbiome and its role in human dysbiosis and infections. We work in a highly multidisciplinary and collaborative environment with effective interactions between computational scientists, experimental biologists, statisticians, and clinical teams. Next generation computational metagenomic tools. The potential richness of shotgun metagenomic datasets (several GBs/sample) is currently only partially expressed due to several computational challenges currently not addressed by available methods. We are working on a principled framework to provide next-generation computational tools able to profile microbiome samples at multiple levels (taxonomic, phylogenetic, functional, metabolic). This involves the processing of several thousands of microbial genomes and is also resulting in new tools for comparative microbiology, phylogenomics, and pathogen identification. Integrative and machine learning meta’omic approaches. Given the complexity and variability of microbial communities, multiple complementary cultivation-free methods should ideally be employed simultaneously including metagenomics, metatranscriptomics, metametabolomics, metaproteomics, and single cell sequencing. As the cost of these meta’omic approaches are quickly decreasing the bottleneck becomes the lack of integrative computational approaches and statistically robust tools. The lab is developing such integrative methods and is applying them on the new data produced as well as on the compendium of publicly available meta’omic datasets. 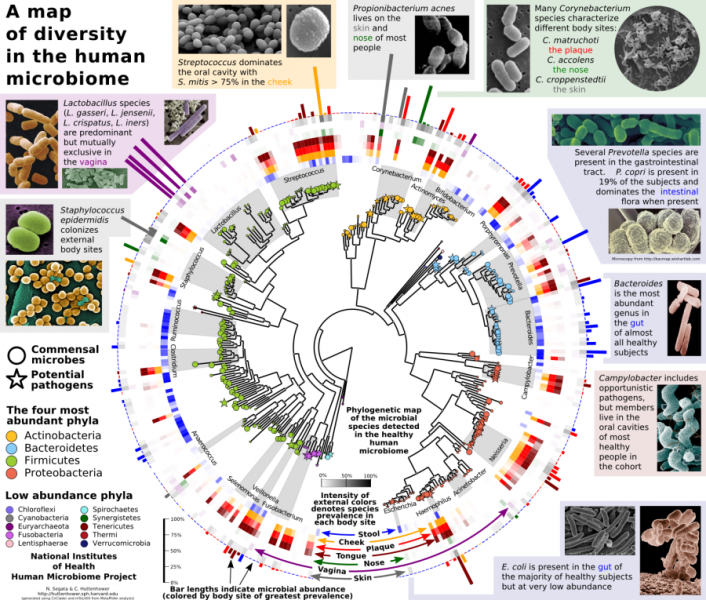 Microbiome-pathogen interaction in human infections. The study of microbiome-host interaction is now receiving a level of attention and funding almost comparable to the more classical pathogen-host interaction studies. Despite intriguing results from mouse models, the role of direct microbiome-pathogen interactions in the acquisition and development of human infections is instead currently under-investigated and unclear. By means of coupled pathogen isolate sequencing and shotgun metagenomics we aim to unravel the role of the microbiome in the development of antibiotic resistance and virulence modulation in human infections, with the medium-term goal of finding new potential therapeutic targets. We are currently looking for motivated candidates for post-doctoral positions. Candidates interested in metagenomics as well as candidates with strong computational background only, are invited to contact the PI (nicola.segata [at] unitn.it) for informal inquiries. Students interested in small-to-medium computational projects are also welcome. Please refer to http://scholar.google.com/citations?user=ZXjO-Q4AAAAJ for a complete and updated list of publications.